Encaustic fusing tools are an important part of encaustic painting. Heat is used in every step of the encaustic painting process. You need to fuse every layer---first to the substrate and then every subsequent layer to the layers before. 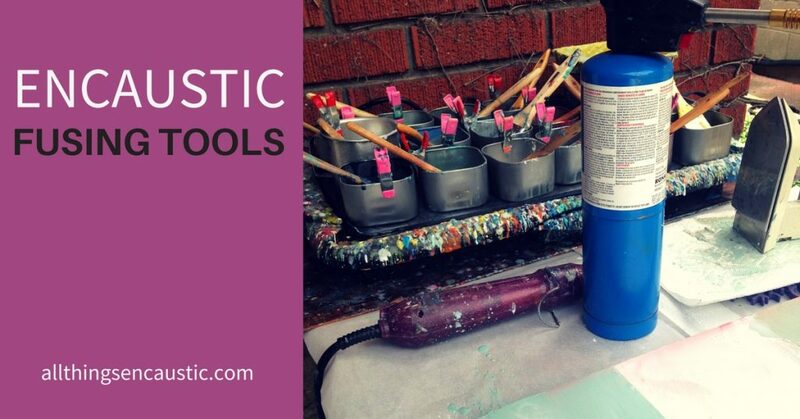 There are a number of different hot tools that work well for encaustic fusing including: the heat gun, embossing heat gun, iron, blow torch and encaustic stylus. The posts here in the encaustic fusing tools category will help you choose which hot tool to use when. Each fusing tool will give you a different effect.